DUROXITE - Taking Durability to the Extreme. Duroxite overlay products from Hardox Wearparts can add weeks, months, even years of trouble-free operations to your most extreme wear situations. It is comprised of abrasion resistant materials deposited on top of mild steel or Hardox® wear plate to create an extremely wear resistant compound material. An optimal carbide composition ensures homogenous bonding between the base metal and overlay adding to the high wear resistance and long service life of Duroxite. Duroxite is manufactured by SSAB, and built on the company’s extensive metallurgical knowledge in the wear arena. 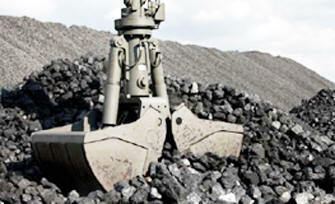 Duroxite overlay works especially well in sliding wear environments where small and hard materials are processed such as coal with high quartz content. 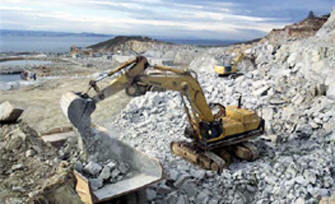 It can withstand different types of wear such as abrasion, heat, metal-to-metal and erosion wear. Duroxite comes with guarantees that are unique for the overlay market. Duroxite overlay products are delivered with an overlay thickness guaranteed within +10%. 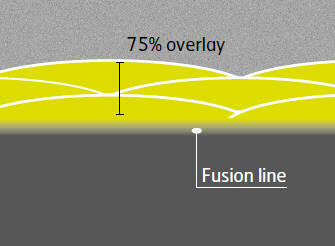 When you order ¼” overlay on ¼” base plate, you are guaranteed an overlay thickness of ¼” within +10%. This is consistent throughout the plate and from plate to plate. Further, consistent wear properties are guaranteed throughout the plate down to 75% of the overlay thickness as opposed to just the surface of the overlay. The remaining 25% of overlay is the transition layer necessary to maintain good bonding to the base plate. Duroxite welding Duroxite is designed to be hard without giving you a hard time in the workshop. No special equipment is needed to install Duroxite. Welding, bolting and stud welding are the common methods for installing Duroxite wear parts or overlay plate onto your equipment. For more information on installation, see Duroxite brochure. One of Duroxite’s key benefits is its excellent formability due to a staggered cracking pattern on the overlay surface. This simplifies bending of the plate and ensures a smooth flow of the processed materials. Gold mine, asphalt examples plus the other applications from the previous brochure using the format in the brochure with photo and Industry, Application, Wear part, Purpose, Type of wear, Benefit.